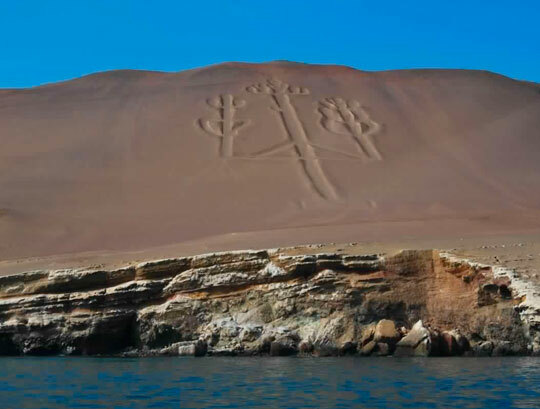 Reception and transfer to the selected hotel in Paracas. 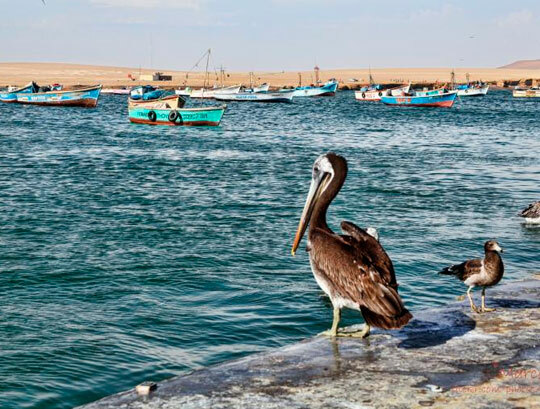 Tour Paracas National Reserve located in one of the most desert areas of the Peruvian coast in the City of Ica, located in an exceptionally rich marine area, where outcrops of extremely cold waters produce an abundance of plankton that feeds fish, crustaceans and mollusk. The reserve has environments propitious for the conservation and quiet reproduction for many species of resident and migratory birds. Visit to to the room for interpretation, fossils, and view point flamencos. Return to the hotel Overnight. 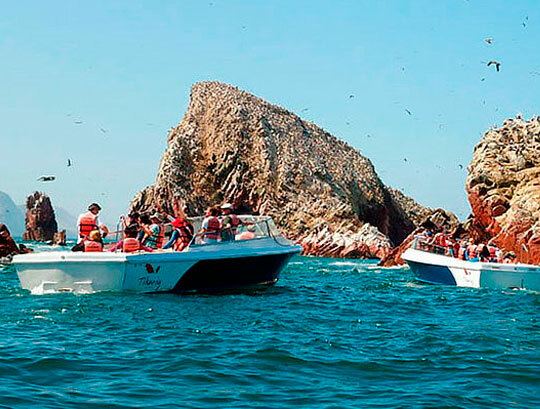 Tour Ballestas Islands. Group of small islands, composed of rock formations where there is an important marine fauna like birds guanay, and tendril piquero mainly Ballestas Islands North, Central and South each one with an estimated area by 0.12 km ² (diversity of birds, sea lions, Humboldt penguins, rock formations and mysterious candelabra, a large geoglyph which serves as a beacon to mariners. 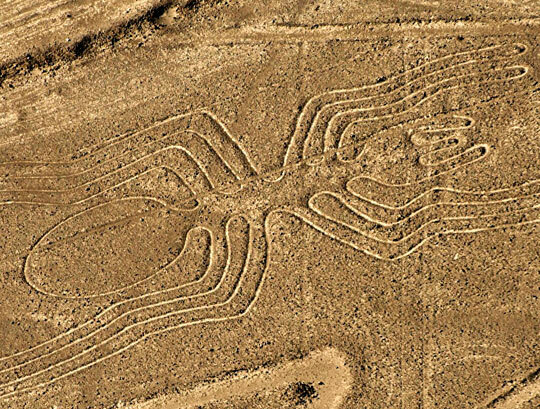 Candelabro, related to the Nazca lines and geoglyphs. Travel by bus to the city of Ica. ICA, generous land, good Pisco, Huacachina. Visit to the Man Square, the Lord of Luren skipper and his sanctuary; Cachiche, esoteric and mystical town of Bruges and healers, and visit the countryside in order to taste pisco, wine and traditional cachina Ica. Ride in buggies and practices of sandboarding (optional). Bus Tickets Ica / Nazca. Reception and transfer to selected hotel in Nazca. The wind sweeps with rage, day by day, night after night for thousands of years, the burning sun and rain without mercy has never dare to look around. Just the stars visit them every night. It is not the place for men, it is abode of gods. 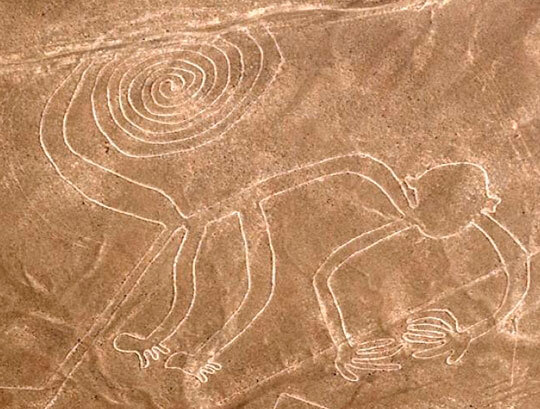 On its flat surface had been traced lines and other designs that are visible only from the sky: the Nazca pampa with their lines and shapes. Visit to the archaeological site paredones (Inca administrative center), Aqueduct Cantalloc (underground wells made for agriculture facts). Visit to the Cemetery Chauchilla that has 12 mummies from the Nazca culture. (Optional). - 2 nights of accommodation. - Admission tickets for all tours. 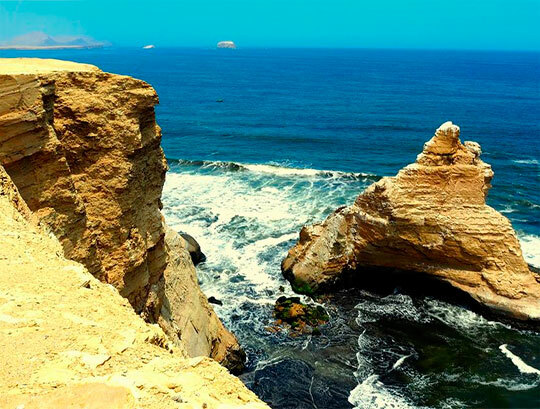 - Tour Paracas National Reserve. - Tour of the Aqueduct Cantalloc. 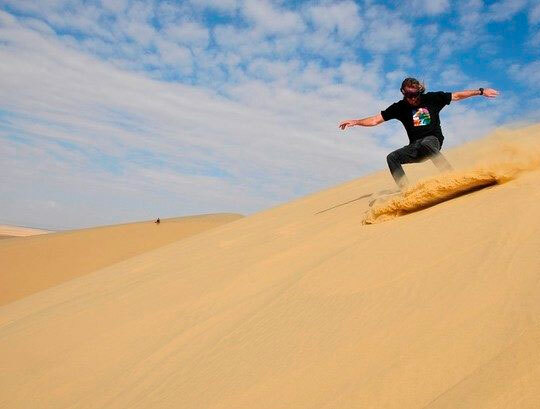 Sand boarding IN USAC Medan, RUINS Cahuachi and aqueducts. We leave the city due to the aqueducts and cite Ocongalla, there we will appreciate some of the open pit perfectly preserved, even little-known by travelers and that are still by locals. Once we arrived to the desert into the ruins of Cahuachi, the most important ceremonial center of pyramids made of mud from Nazca culture, built between 400ac and 600dc 4km cemeteries are desecrated graves and where there are offerings of the Nazca culture. 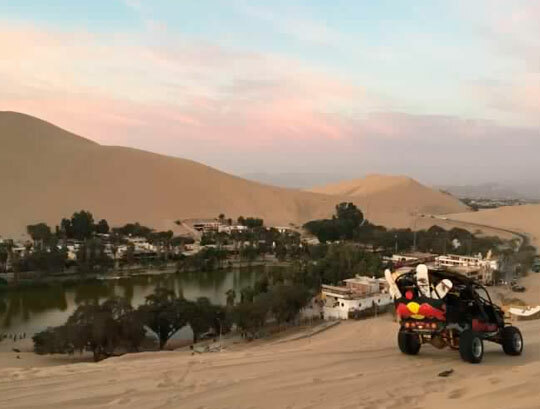 We continue our journey through the forests huarango, located at the foot of the dunes, making a stop to lower the pressure of our tires and starting our walk along the dunes of fine sand and eventually to the top of the dunes of USACE to practice sand boarding after 1hr. Approx. fun, we go down by the stream of Poroma and starts the journey back to the city.